It's Not Work, It's Gardening! : Sow, what's first? With the plastic protection already in place, this would be an easy task, and that's the type of garden activity I really love at this time of year! 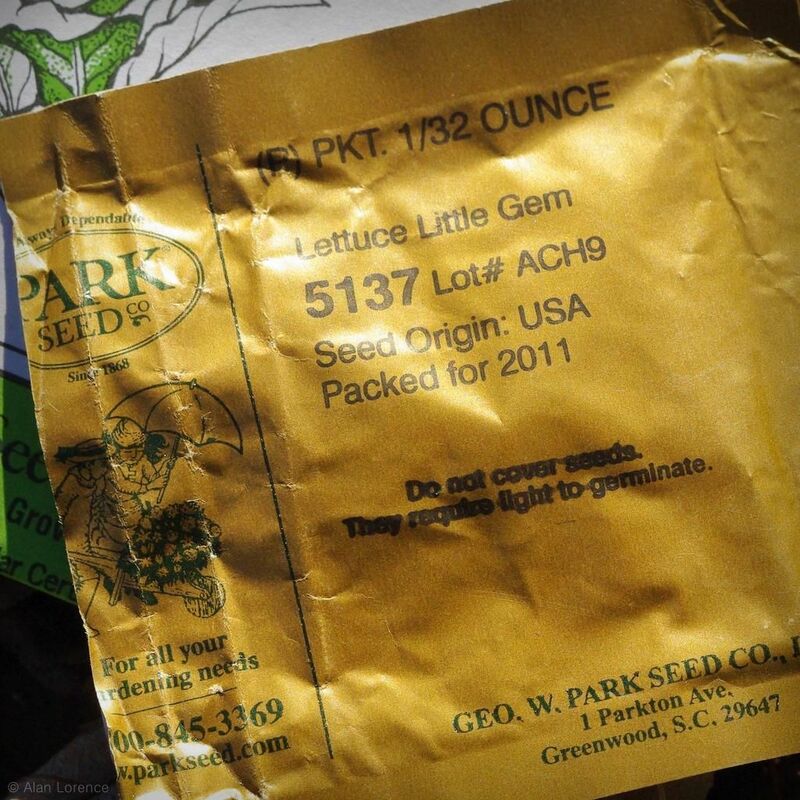 Really interesting to me that the last packet said not to cover the seed, as it needs light to germinate. 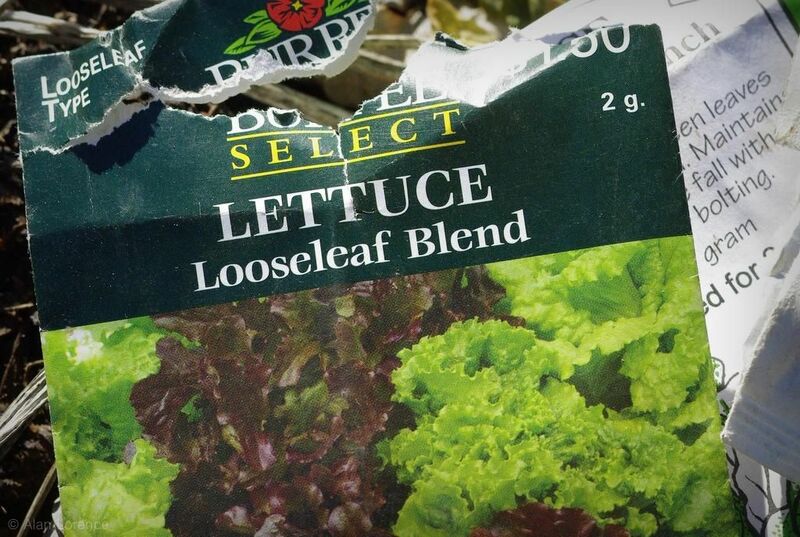 I had not heard this about lettuce seeds before. I know that you shouldn't plant them too deeply, but that's typical with smaller seeds. In any case, I just let the water cover them up instead of burying them myself, as I brought a couple of containers filled with warm water from inside. 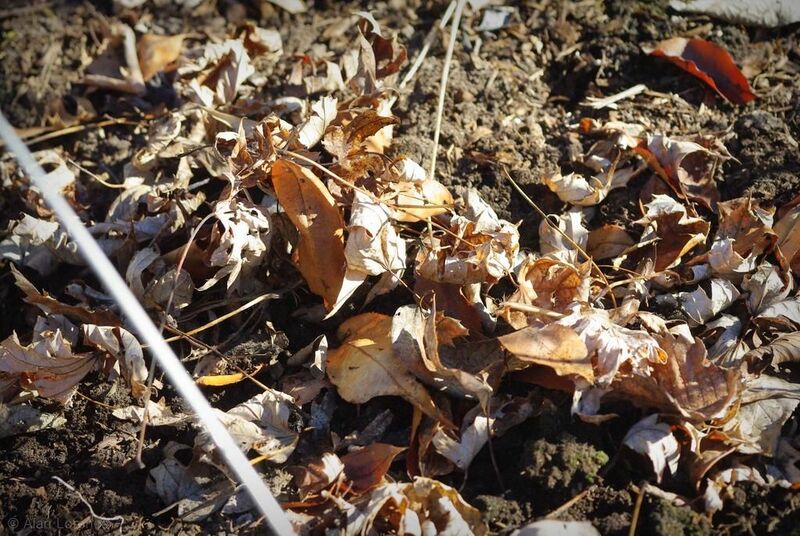 This will help to warm the ground around them and speed up germination. 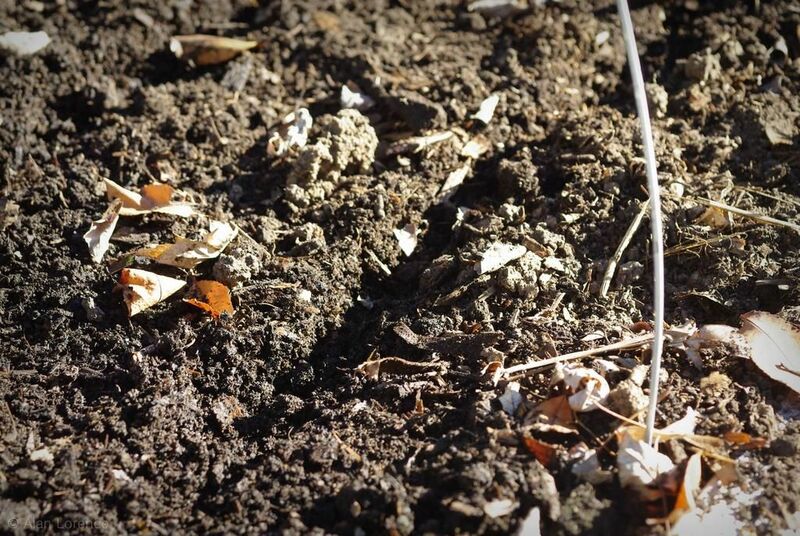 Jack says that once the seeds germinate, the tiny plants (an inch tall or less) can seemingly survive any temperatures, even when not protected. With them covered back up I'll forget about them for a while now. 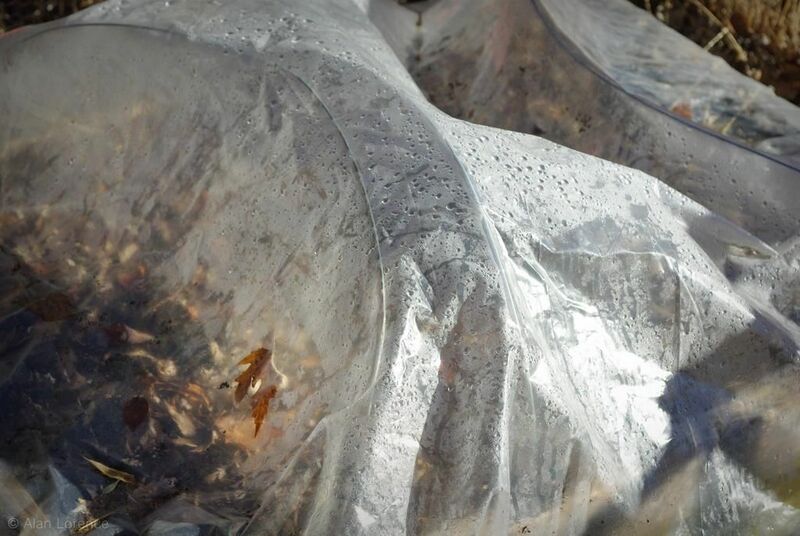 I will probably need to add some water in a couple of weeks, as the plastic won't let any precipitation through like a woven material would -- Jack uses Agribon AG-19, which is the second-lightest grade -- and I'm hoping these get a chance to germinate before it gets cold again. Hopefully I'll be posting photos of pretty rows of tiny greens soon! Jack noted that you don't need a row cover of any type for lettuce -- just sow the seeds during the winter and they'll germinate when they can, but much sooner than you thought they could. 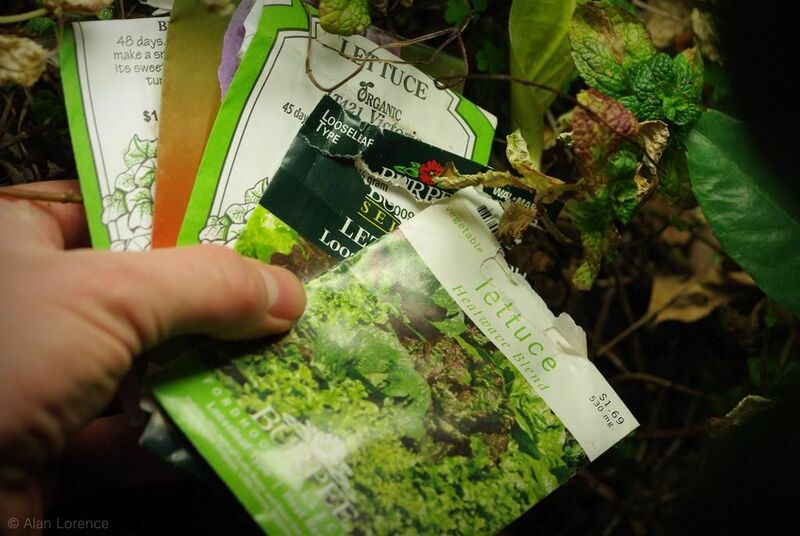 The point is to have useful lettuce plants by early spring, instead of only sowing the seeds at that time. That's awesome! I wonder if lettuce would survive our weirdo day/night temperature swings? I'm having a hard time not doing something when its 70 deg out...until I realize its 21 deg at night! But lettuce it is. Thanks for the inspiration! Renee: I'd love to hear how it works for you! 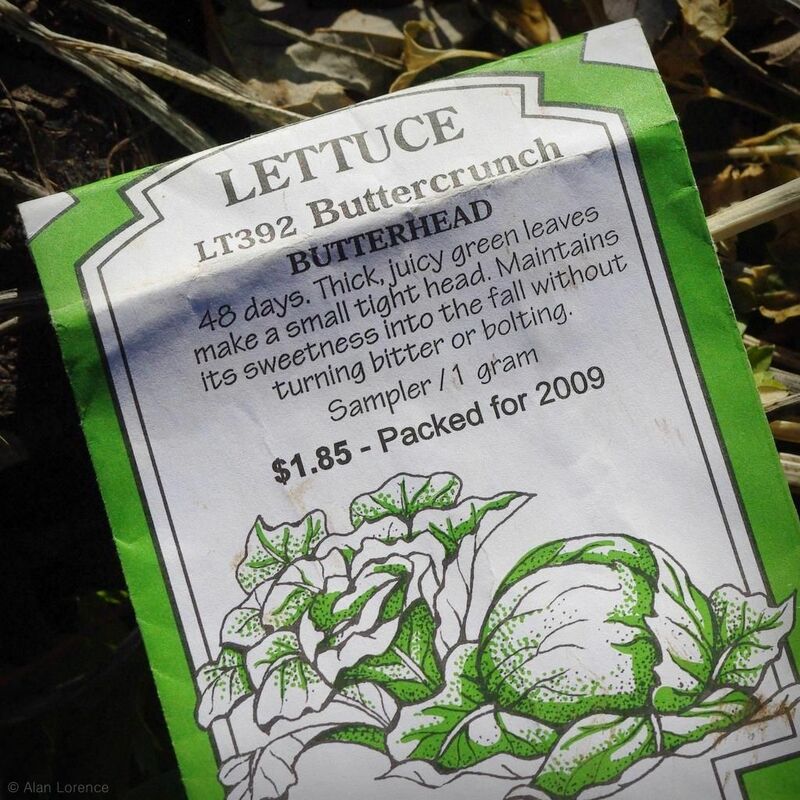 One note: Jack said that once the lettuce plants got a couple of inches tall, they became more susceptible to frost -- they didn't care about temperature, but you have to keep the frost off of them. 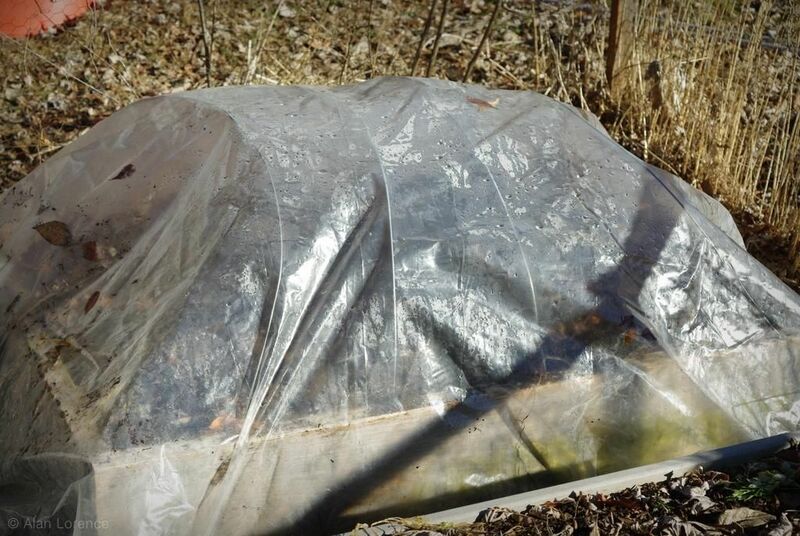 So you may need to get some frost cloth (lightweight row cover) if you still have below-freezing temps at night once the lettuce starts gaining size. I can't wait to see how this turns out! 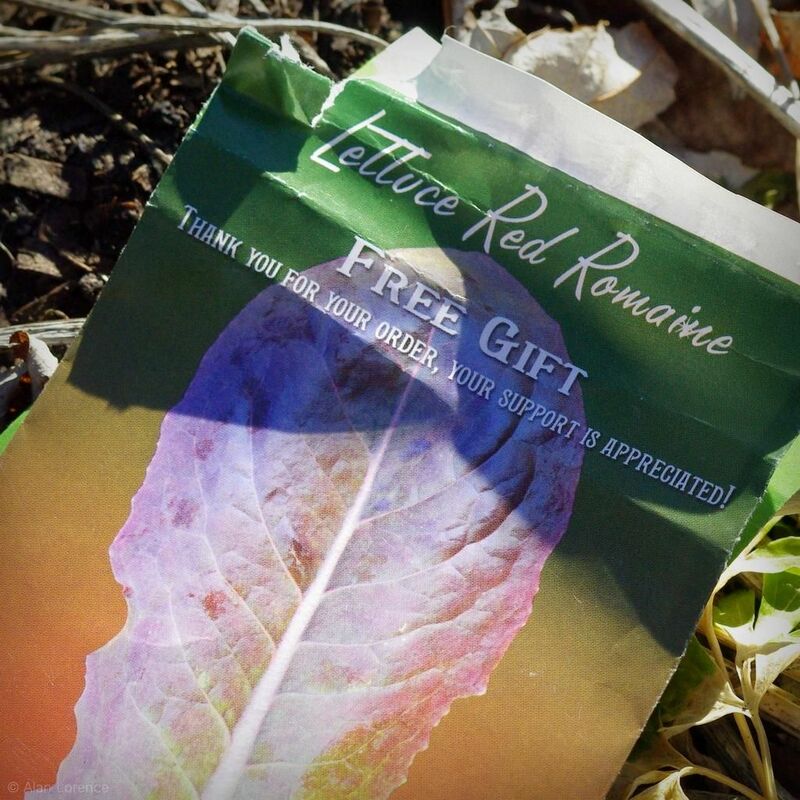 My goal is to move towards year-round growing and greens and herbs seem to be the most likely choices.